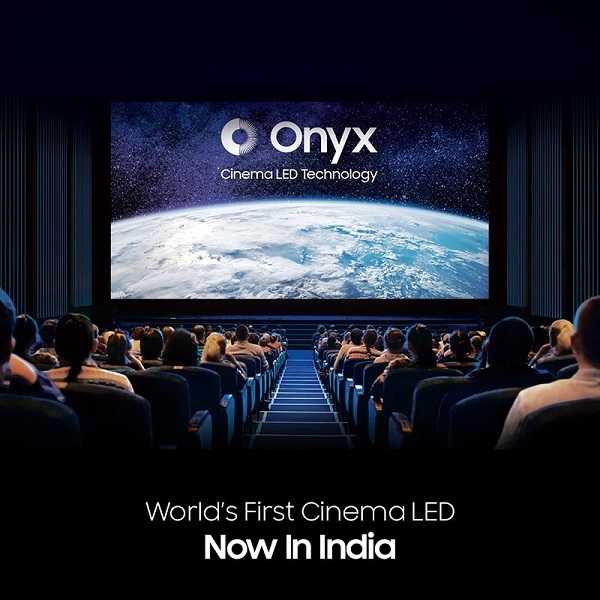 With the cooperation with INOX Leisure, an India multiplex chain, Samsung has announced that its Cinema LED, Onyx, has launched in Mumbai, the land of Bollywood. Samsung has announced its partnership with PVR Cinemas in August to launch the first Onyx Cinema LED displays in New Delhi. Working with INOX, Samsung now debut the second LED cinema screen in Mumbai. The company plans to install around 20 LED cinema displays all over India by the end of 2019. “With INOX Onyx, welcome true colors, bring alive the LED Screen with real life like picture quality and exhilarating sound. We are elated to partner with INOX in our endeavor to revolutionize the movie viewing experience in the city of dreams – Mumbai,” said Puneet Sethi, Vice President, Consumer Electronics Enterprise Business, Samsung India. Apart from India, Samsung also worked with the Wanda Group in China and has launched the world’s first Onyx multiplex theater in Shanghai in September. LEDinside has forecasted that the market scale of indoor fine pitch display in 2018 would be US$ 1.997 billion with a YoY growth of 39% and its CAGR during 2018 to 2022 will reach 28%.